Researchers based their latest study on the use of fake caterpillars spread across the globe. A team of international scientists recently carried out a large-scale, perhaps unusual looking experiment. They spread out almost 3,000 fake caterpillars and glued them on locations all over the world. In doing so, the scientists were trying to determine the “creature’s” risk of becoming a prey across the diverse biosystems. The research team released a paper with its results in the journal Science earlier this week. In it, they presented interesting observations about the distinct but cyclic features of the world’s ecosystems. An analysis of the study data also helped determine predator patterns from across the globe. Using a fake prey for studying predation risks is not a new method. However, this is the first study to use this technique in a global, simultaneous, standardized manner. “But this kind of massive, simple, standardized technique is really powerful when you can implement it at a global scale in a really well-replicated way,” said Liz Nichols, one of the researchers involved in the study. The idea for this research itself came as scientists were comparing predation rates in the Equator and the poles. So the researchers turned to the fake caterpillars for a unified, standard prey, which could yield a better comparison tool. The dummy caterpillars were spread across 31 sites located anywhere in between southern Australia to the Arctic Circle. Made out of clay, the models presented bite marks from all the species that took a swipe at them. The marks corresponded to everything from an animal to a bird, slug or beetle. 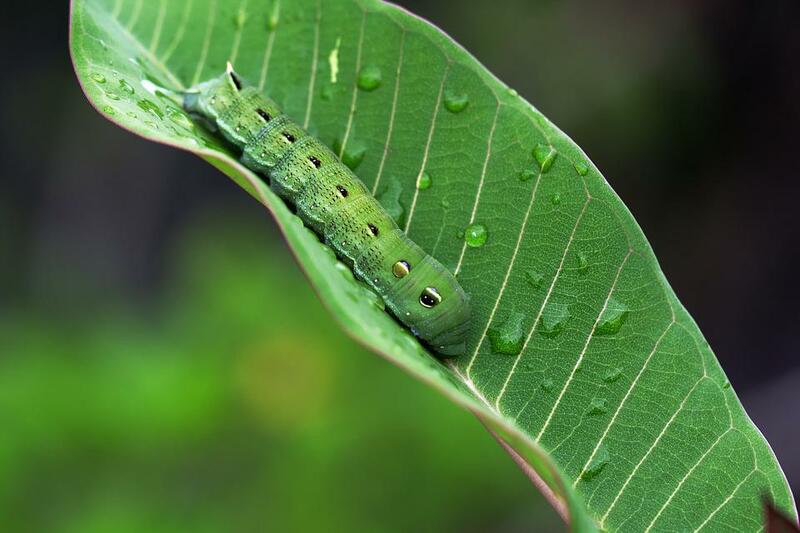 An analysis of the dummies showed that caterpillars have an eight times higher risk of getting eaten when closer to the equator than at the poles. This came as no big surprise as there is larger and denser population of species surrounding this former. The trend has a mirror nature as it was observed when comparing both poles to the Equator. Also, the team noted a similar variation in relation to elevation levels. The fake caterpillars were less likely to be preyed on as their location increased in altitude. Besides having to defend itself from predators, this fake caterpillar test also showed that wasps plague the species as well.